The biggest names in South African action sports have taken to the ramp in Mountain Dew’s award winning Dew Tour Bootcamp, which kicked off on Monday, 17 February. 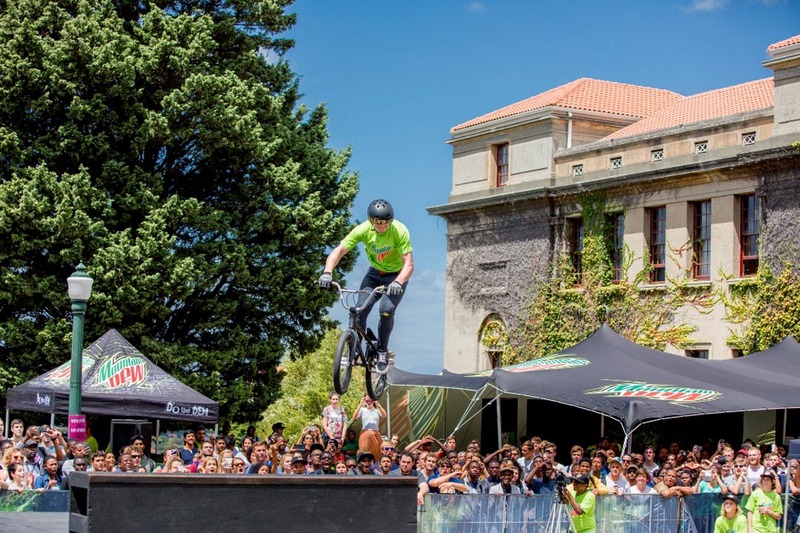 This adrenaline-fuelled roadshow will visit major campuses across the country, offering students the chance to witness exciting performances by the country’s best in freestyle BMX and skateboarding. Once again, each event includes a gaming zone. For those who like to keep their participation a little more virtual, SKATE 3, from the award-winning SKATE franchise, delivers all the rivalry of skateboarding. All this plus DJs, great give-aways, a chance to win a customised skateboard, and an endless supply of Mountain Dew, makes the Dew Tour Bootcamp a must-see event.